"Dancing in the Shadows of Love"
After a decade in prison for a murder she did not commit, Lulu begins a new life at the Court of St Jerome in the Old Sea City. An albino, abandoned as a young child at a Holding Camp for unwanted children, she has always been ostracised, for her difference to others makes her an easy victim of prejudice. Once, she believed, she had a friend to love her. Then that friend betrayed her and Lulu learned that hate is safer than love. But, from Jamila to Granny Zahra, the people of St Jerome’s appear to accept her into their fold. Against a backdrop of never-ending war, the women of the court fight their personal demons: hatred, ambition and greed. As Lulu shares their victories and their losses, she learns to trust again, perhaps even to love. Nothing, however, is as it seems and Lulu discovers that love does not always wear the face of the one you yearn to call beloved. 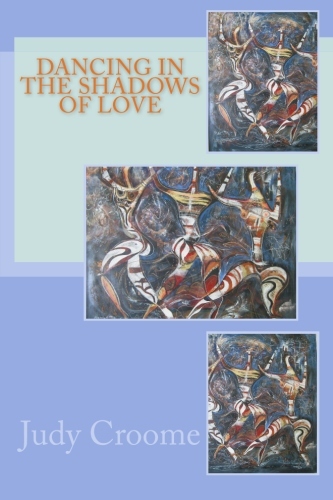 This compelling story explores the sacrifices people make in the pursuit of a love that transcends everyday existence. Lulu’s quest, and that of Jamila and Zahra too, is to find the divine love that will fulfil their hopes and save their souls... if they can recognise the masks of those who seek to lead them astray.